Hope you all enjoyed my April Fool's Day Joke yesterday! 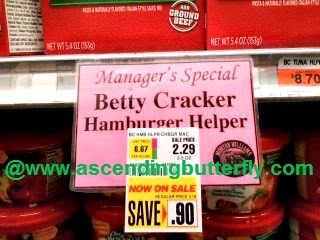 I woke up feeling cheeky again so I thought I'd put some funny in your Wordless Wednesday with this recent local grocery store find. @Cathy Kennedy - I used to love when Jay Leno would do these on his show! No one could figure out what I was taking a picture of. Glad I could put some funny into everyone's WW this week! LOL - I had to read the entire thing twice, as I automatically read what it should have said. @Rhonda Albom - That is so true, our minds will try to auto-correct these things which never ceases to amaze me! This is too funny! I am your newest follower on GFC. Please come by and follow me back. @Still On The Verge - Thanks for following and welcome to Ascending Butterfly - we are all about empowerment here! I'm off to follow you right now! @stevebethere - You know you are one of my first stops on the WW hop! I had to throw in some humor this week too, my birthday is on Friday, it's all about laughs and silliness this week! @Kristin Aquariann - ROFLMAO!!! That's a good one! I'm sure that made every man who walked up to that counter cringe! No way that's just to funny !!! @Big Happy Buddha - Glad to put some giggles in everyone's Wordless Wednesday this week! Lol. Looks like your grocer was in a silly mood as well. April fools day can be fun. well well :))...maybe the grocer did it in purpose :D..